The Chichester Historical Society will host a “brain-storming session” for a potential Suncook River Collaborative Project on Monday, May 7th. The session will start a 7 p.m. at the Society’s Museum, 49 Main Street. The Historical Societies of Barnstead, Pittsfield, Epsom, Allenstown, and Pembroke have been invited to participate, as well as Friends of the Suncook River. Other organizations for individuals are welcome to attend to share ideas around the “Suncook River” theme. For further information contact Lucille Noel at 798-5709. Lasagne will be featured on the May 9th Community Supper at the Chichester United Methodist Church Parish Hall. Come at 6 p.m. and enjoy a meal with friends and neighbors. The Community Suppers are free to all. Donations are gratefully accepted and used to cover costs of food for future suppers. The Chichester Historical Society will have a guest speaker for the May 14th program. Mark Stevens will present “Moonshine, the Brink’s Job, and the NH Connection” at the Chichester Historical Society Museum, 49 Main Street, at 7 p.m. Is there a Chichester “connection” as well: Come and find out about this 1950’s “Crime of the Century.” Light refreshments will be available. There is plenty of parking across the street from the museum. Contact Lucille Noel at 798-5709 for more information. Hard to believe it is May already! Cinco de Mayo at the Attic is May 3rd. We have special glasses for toasting. Come check it out! Also, Mother’s Day is Sun., May 13th. Check out the books, coffee cups, photo frames, and flower pots for Mom! Free craft magazines! Open Mon. 8-12;Tues. & Thurs. 8-4; Wed. 11-4 & Sat. 10-4 on Rte 28 (aka Suncook Valley Hgwy) next to Parker’s Family Restaurant, near the Pittsfield line. 247-7191. Like us on Facebook! Pre-school Story Hour resumes tomorrow at 10:30 a.m. Stories and crafts, and even a snack, are the rules of this activity time. Barbara Pappas is the skilled leader of this, with the assistance of some of the mothers. This Saturday, May 5th, between 8 a.m. and 1 p.m. is the renowned Down Under Used Book and Plant Sale. A variety of plants are donated by Milliken’s Nursery, a Chichester business, with the proceeds going to the library. This is a very popular event, so if you have something particular in mind to add to your garden and that you think will be a part of the sale, come early! And, of course, there will be a wonderful selection of used books, puzzles, etc., at unbelievable prices. The Down Under Used Book area will be closed to the public on tomorrow and Friday as we prepare for the sale. The Down Cellar Poets will be meeting on Monday, May 7th, at 7 p.m. The Evening Book Club will be meeting next Wednesday, May 9th, at 7 p.m.
You may have noticed a stuffed toy cat as you have entered into the library and/or on the library’s Face Book page. This is Li’l Bub. An article on him is included in this edition of The Sun. You may have seen pictures of Lil Bub, the Chichester Library mascot that arrived with our new Library Directory, on our FaceBook page and wondered if there were a backstory about this cat. 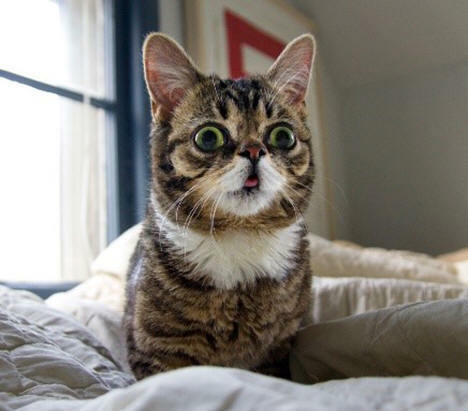 It turns out there is so much more to Lil Bub than just being a toy or even a mascot. When first asked, Caroline the Librarian started to tell how Lil Bub was a special needs cat and began to list all of the challenges this little feline has. Since I asked the question because I knew nothing of the background, I also did not know until then that Lil Bub is an actual, living cat, who has become an internet sensation. There is even a book out titled Lil Bub. (The library has a copy of this book). Because her owner has been able to provide her with the very special care she has needed, Lil Bub’s life is better than anyone could ever imagine. They have also turned her life story and how her challenges have been met into support of the American Society for the Prevention of Cruelty to Animals (ASPCA) and inspiring others to follow that lead. Chichester - Phyllis A. Cole, age 78, left this earth to go home to be with her Lord on April 14, 2018, after a long period of declining health. Phyllis was born in Manchester, NH on May 2, 1939. She was the daughter of Vera (Place) Ross and Gordon L. Ross. Phyllis worked for many venues during her career, the last as an accountant for the NH Dept. of Education from which she retired. Her passion was for her family, and the Lord Jesus Christ whom she served as a Sunday school teacher and by leading others to the knowledge of eternal salvation through Jesus Christ her Savior. She is survived by her loving husband, Gary Cole; two daughters, Kathleen Sutphen and Joyce Kathan; a son, Keith Scribner, stepchildren, brothers, sisters, many grandchildren, step grandchildren, great grandchildren, nieces and nephews. She was predeceased by her first husband John E. Scribner Sr.; her son, John E. Scribner, Jr.; sister, Sandra Martel and brother, Aaron Ross.